On Friday 30 September, in the presence of H.M. King Carl XVI Gustaf of Sweden, the inauguration Ceremony of the new plant. The equipment is in place now and production has commenced. Södra invited customers, employees and local dignitaries to a two-day event which included a tour of one of Södra’s’ members’ forests where everyone planted a tree and saw for themselves how Södra is practicing sustainable forestry. The evening celebrations were held in a members’ barn where guests enjoyed a tasting menu themed with products from the forest by Michelin-starred PM & Vanner. On Friday the ceremony was held at the mill itself. The King had a private tour of the facility and there was an interesting debate on sustainability before the formal inauguration. Södra is investing a total of SEK 6 billion (around half a billion USD) to expand for the future. Some SEK 4 billion has been invested in the pulp mill in Värö. The expansion is now complete and will result in an increase in pulp production capacity from today’s 425,000 tonnes to 700,000 tonnes of pulp annually. The mill will thereby become one of the world’s largest, most modern and energy-efficient mills for the production of softwood sulphate pulp. This important project has been running for a long time – since the summer of 2013. It has been rebuilding the existing plant while production continued at full capacity. This approach has meant that all processes were interdependent, and sensitive to disruptions and delays. Despite the startup being slightly behind schedule, Värö actually broke a production record last year. The focus now is to gradually improve quality and increase the mill’s production rate, there’s still more to do. According to the plan, adjustments will continue for several months, which is completely normal for a project of this scale. There are still a few more steps before the project is completely finished. For example, the implementation of a performance guarantee test to ensure that the equipment meets the mandatory requirements, in order to reach the planned capacity of 700,000 tonnes per year. The expansion of Värö will be significant for the region, both economically and in terms of job opportunities. Värö will become one of the world’s largest pulp mills, which will put both Värö and Sweden on the map. Transportation will increase, but an analysis of the use of longer and heavier vehicles, weighing 74 tonnes, would compensate for the increase in the number of vehicles to and from the mill. The new mill is being built using new, modern technology that will be quieter and less odorous than less modern technology. 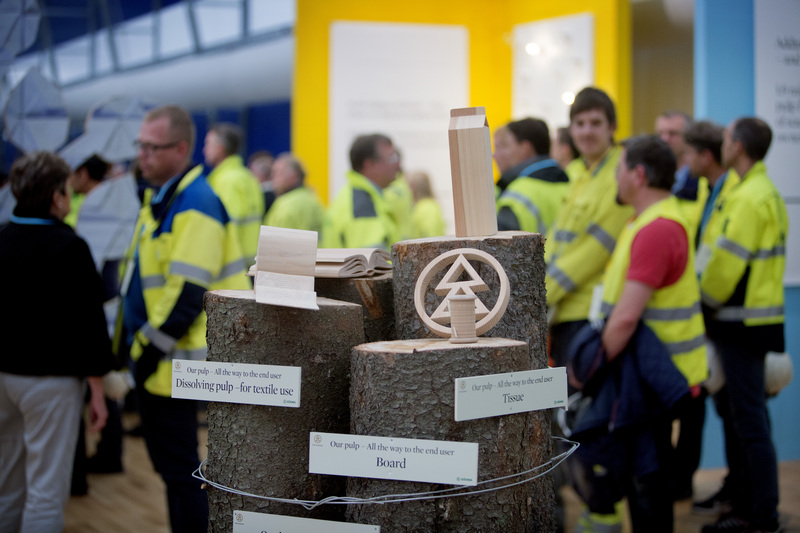 The expansion has created 20 job opportunities at Södra Cell Värö, and 220 new jobs in forestry and transportation. Some 1,600 construction workers were employed during the building period. 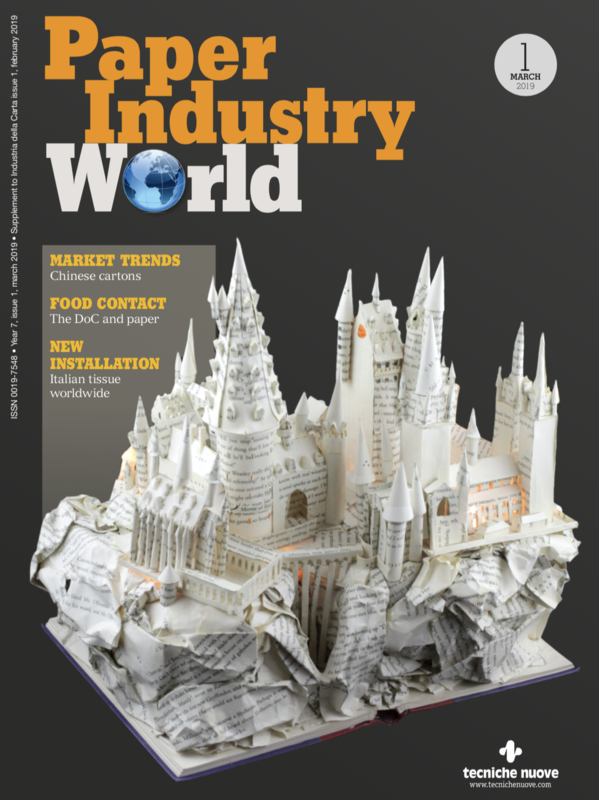 Södra will continue to produce top-quality paper pulp and may focus even more on creating the kind of paper pulp customers want after the expansion is complete. The modern machines currently being installed at Värö are more efficient than the previous ones, and our water consumption will not increase. The long-term goal is to achieve an entirely fossil-fuel-free pulp mill. Emissions will be lower per tonne of produced product. Södra will be able to create more energy in the form of heat and electricity using the same amount of biofuel as today. As for the environment, the amount of forest growing in Sweden currently exceeds the amount being removed. For each tree harvested by Södra, it plants three new ones. The new trees are subject to forest management measures that lead to an increase in return. The Swedish forests currently grow by 1% net annually. 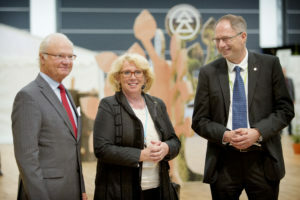 Ther Inauguration of Södra’s pulp mill in Värö.